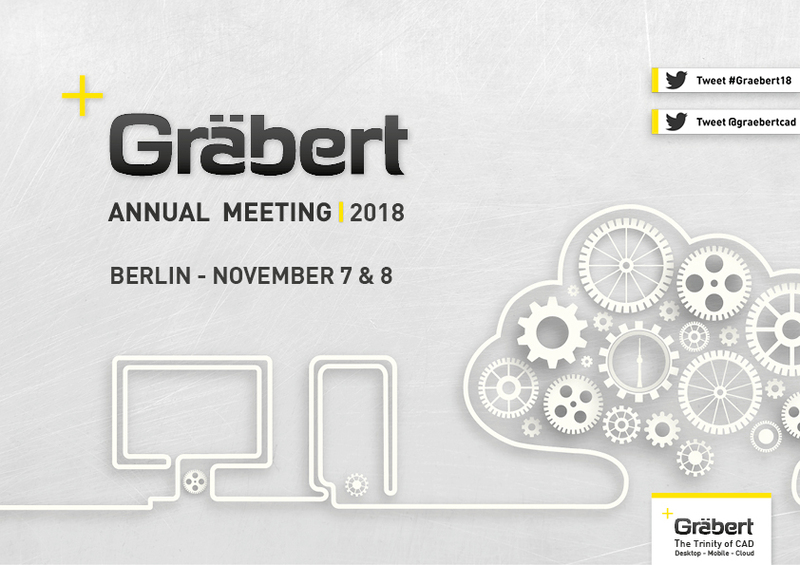 The next Graebert Annual Meeting 2018 will be held in Berlin on November 7 and 8. Like each year, Graebert is inviting its Partners and the Press to announce and showcase its new products and upcoming features. This technology outlook promises a glimpse into the future of CAD technology with Graebert’s innovative front-line CAD products. The early announcement gives the happy few invited guests time to plan ahead for #Graebert18. Last year’s Graebert Annual Meeting took place at the AXICA Conference Center which is adjacent to the historical Brandenburg gate. The attendees enjoyed an extravagant view of the plenum inside the center. Following the tradition of past years, Graebert hopes to welcome its guests this year with a yet another enthralling venue. However, further details of the location of the event and practical information will be revealed at a future date. Stay tuned! Until then, please watch the video below to relive a few moments from last year’s annual meeting. The next Graebert Annual Meeting will be held in Berlin on November 7 and 8, 2018. Follow the hashtag #Graebert18 on twitter for further updates.